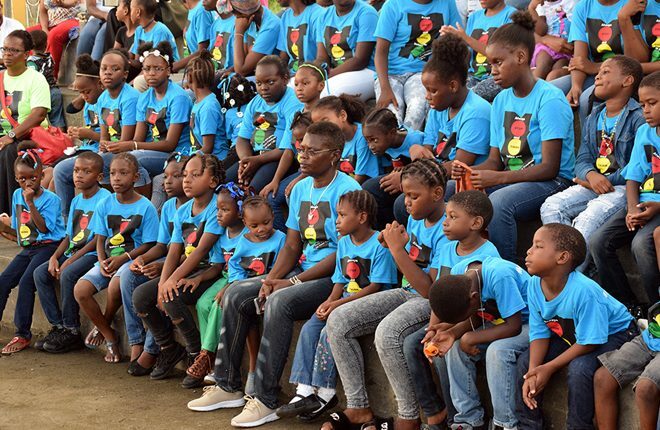 BASSETERRE, St. Kitts, October 15, 2017 (Press Unit in the Office of the Prime Minister) – The positive work of the Mol-Phil Explorers Youth Club was further recognized on Saturday, 14th October, 2017 when representatives of the public and private sectors made several donations to the community-based youth group. 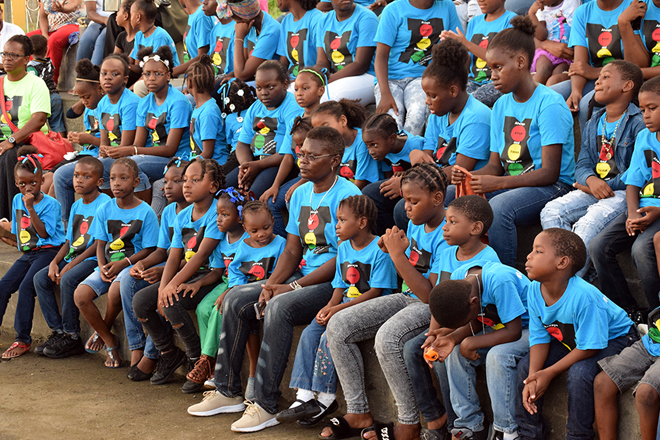 This strong show of support for the Mol-Phil Explorers follows what many described as an “exceptional display” by the youth club during the annual Independence Parade, which was held this year on Saturday, 7th October due to the passage of Hurricane Maria over St. Kitts and Nevis on September 19th. The club was formed under the umbrella of the Ministry of National Security’s social intervention programme, which is part of the ministry’s broader crime prevention strategy and geared towards strengthening character and promoting positive behaviours in young people. 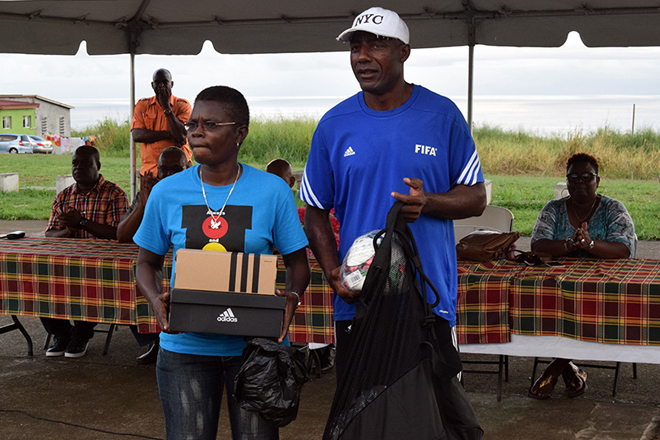 During a ceremony held at the Phillip’s Village Hard Court on Saturday, the Department of Sports, through the Scotiabank Kiddy Cricket programme, presented several pieces of cricket equipment to the youth group, while the St. Kitts and Nevis Football Association (SKNFA) made a similar donation of football gear that will enhance the club’s recreational activities. The West Indies Cricket Board’s Leeward Islands Territorial Development Officer, Mr. Junie Mitcham, said he is highly impressed with the positive work the group has been engaged in since its establishment in July. 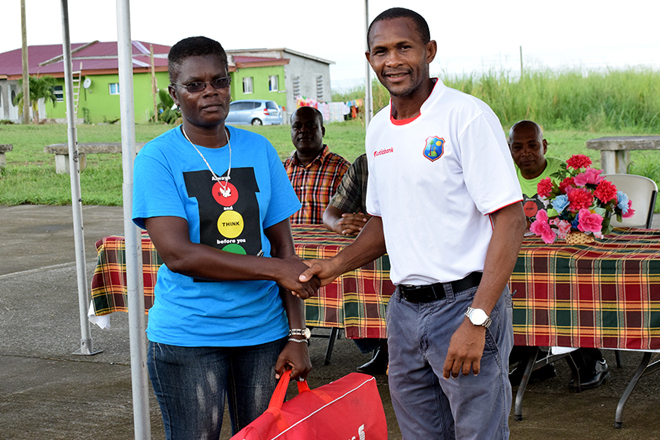 He said this while making the presentation to club founder Inspector Rosemary Isles-Joseph. 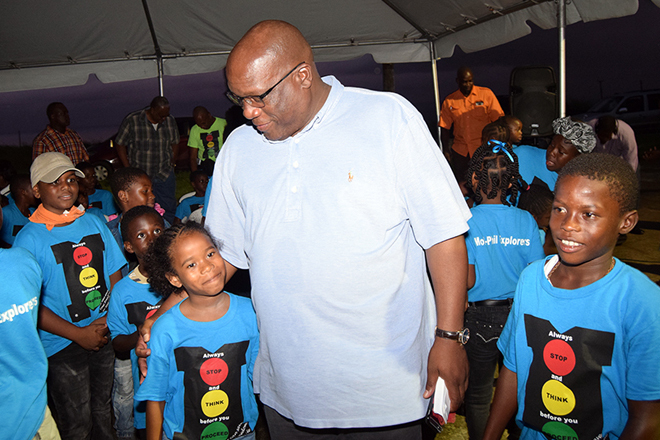 Prime Minister and Minister of National Security, Dr. the Honourable Timothy Harris was on hand to witness the donations and give his support to the club. Delivering brief remarks, Dr. Harris acknowledged the positive influence of the Mol-Phil Explorers Youth Club on the young participants and on the communities of Molineux and Phillip’s Village. Kier Group, one of the companies developing the 126-room Park Hyatt St. Kitts Christophe Harbour luxury resort, has also signaled its intention to partner with the Mol-Phil Explorers Youth Club, stating that it will provide two 40-foot containers outfitted with the necessary amenities, to be used as the club’s new home base. The Ministry of National Security has also arranged to have the land immediately around the hard court in Phillip’s Village cleaned to facilitate sporting activities in the area and other activities such as camping. Also present during Saturday’s ceremony were Permanent Secretary in the Ministry of National Security, Mr. Osmond Petty; National Security Advisor, Major General Stewart Saunders, and Crime Reduction Specialist, Dr. Neals Chitan, as well as high-ranking police officials including Assistant Commissioners of Police, Mr. Andre Mitchell and Ms. Merclyn Hughes.